Maybe you’ve noticed, people are living longer. But living longer, doesn’t always mean living your best life. You may know older relatives who are less active, who are forgetful–maybe even isolated, lonely and depressed. It doesn’t have to be that way, but it does require commitment and consistent behavior to live a HAPPIER, longer life! 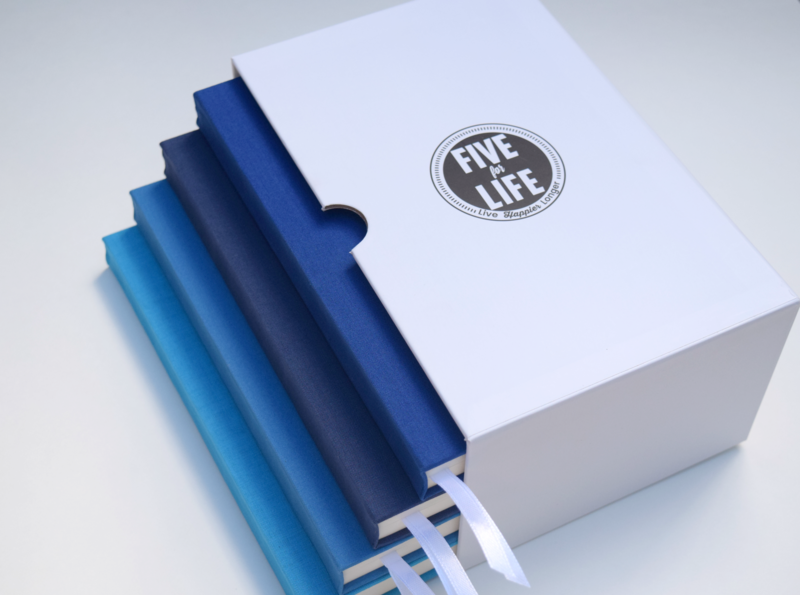 And that’s where Five for Life, and the Five for Life Journal© comes in! 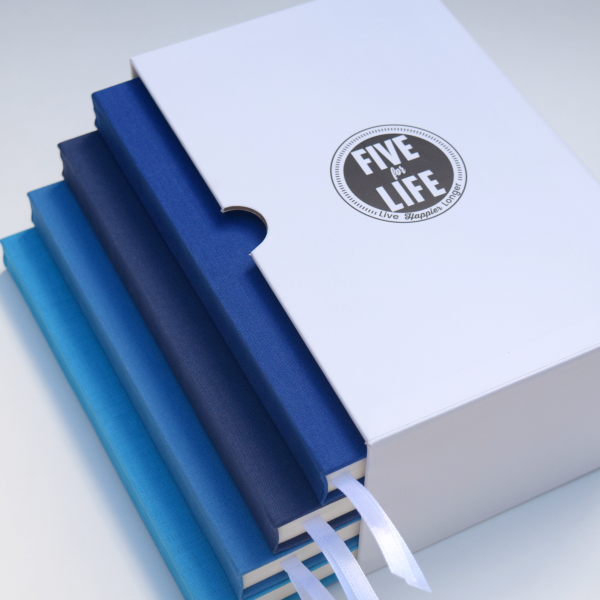 Whether you want to prepare yourself now as you move into your 50’s, 60’s and 70’s or you want to help a relative who is already there, the Five for Life Journal© can help. People in their 80’s and 90’s can follow our five daily actions and start improving their lives. 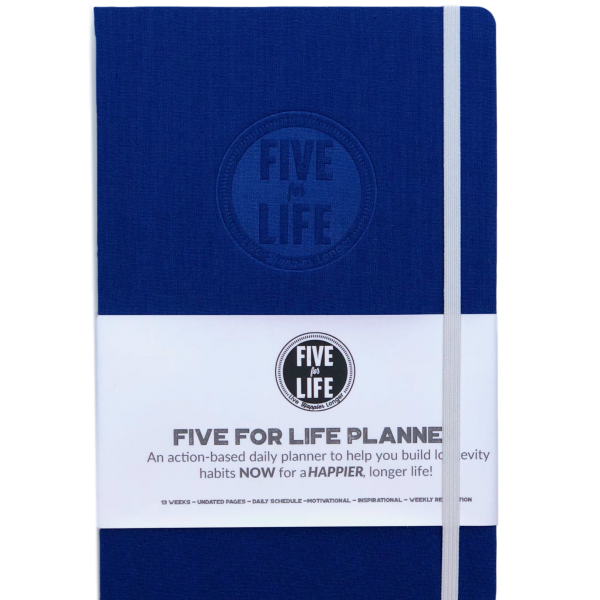 We think so and there are many experts who agree with what the Five For Life Journal© delivers. **13 week daily journal to help build new habits. 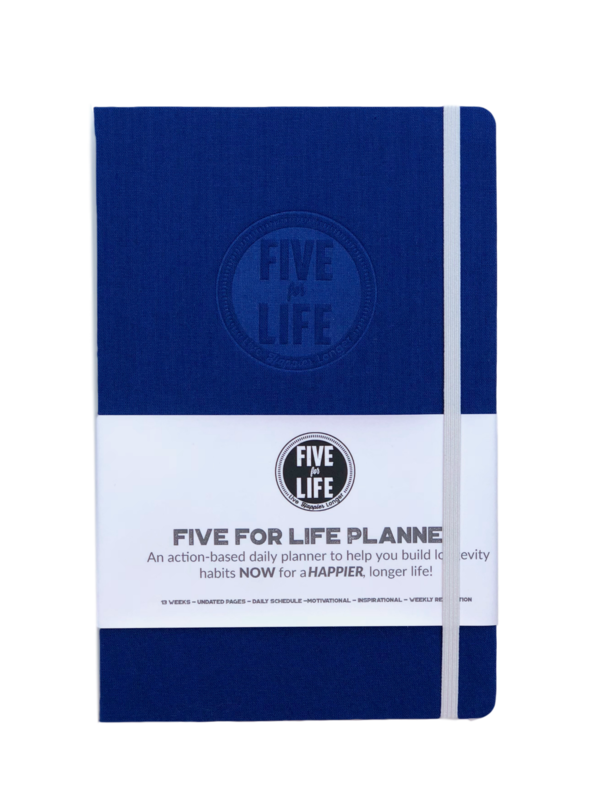 We wanted to engage with you daily and 13 weeks makes the Five for Life Journal© the perfect size! 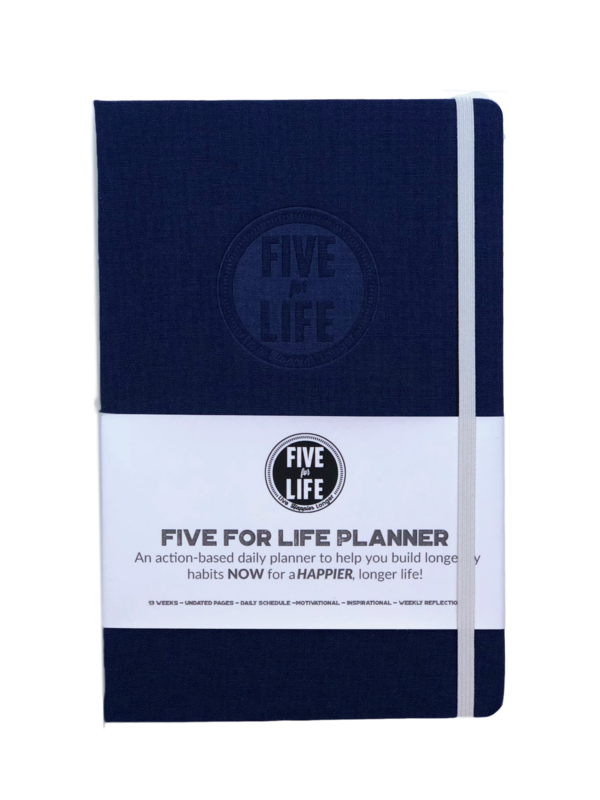 **Each day gives you the chance to track timed appointments, meetings and events but also helps you track your progress on the FIVE DAILY ACTIONS that are the foundation of the Five for Life lifestyle. You can also use the timed side to track food, “to-do” lists, and special occasions. 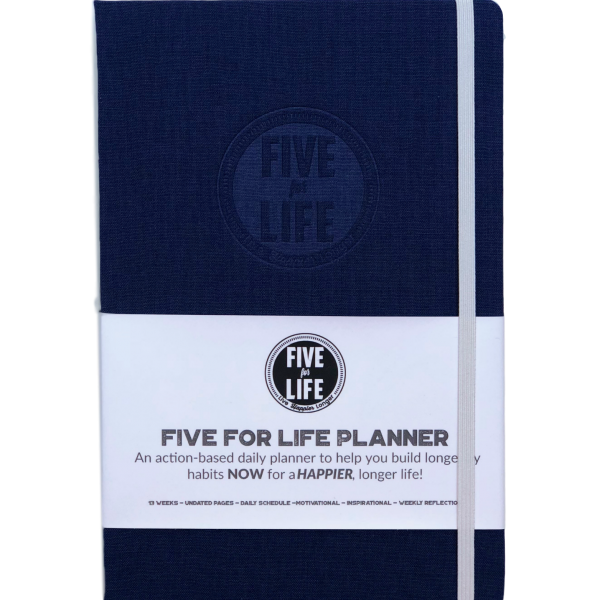 **A guide at the beginning shows you how to make the most of your Five for Life Journal© and encourages you to fill it with your own personal details. **It’s a daily appointment keeper, activity tracker, motivational guide, gratitude journal, and learning tool all wrapped up in one. **When you write in your planner/journal every day you are creating a piece of history in the making and it will be something you can share with your children and grandchildren.